We all have some private files that we don't want to share with other people. Maybe you have got some personal documents, videos or pictures in your phone. When it comes to privacy, the best way to protect your files is by hiding them. 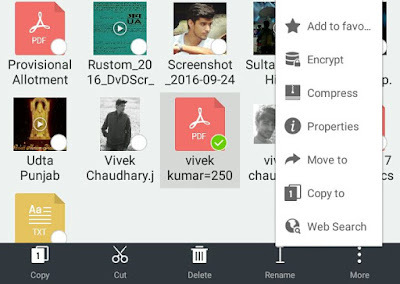 There are a number of methods by which you can hide files or folders in Android and you don't even need to use any third-party application. Apart from hiding files, you can use encryption method to make them password protected. In order to view encrypted file, first you have to decrypt it. It's more secure way to protect your data from unauthorized access. 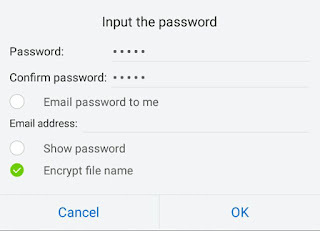 Here in this tutorial, we will discuss on how to encrypt files in your Android phone and make them password protected. Let's dive into the topic. First launch the ES File Explorer app. Now navigate to the path where file is saved. If it is saved in SD card, then first move it to your phone's internal memory as encryption and decryption works in internal storage only. Next, select that particular file by tapping it for few seconds and then click More option. After this, tap the Encrypt option from the menu list. Now a pop up box will appear where you have to type the password. If you would like to encrypt the file name also, tick mark the button. You can also send the password on your email address. At last, click OK button and that's it. 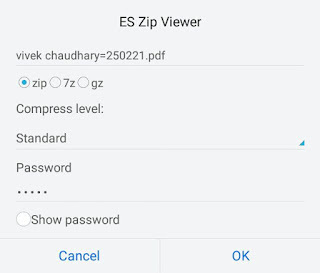 The format of encrypted file is ".esloc" and it is saved in the same folder where the original file was saved. Encrypted files can't be accessed directly and they are hidden from other apps. For example, if you have encrypted a video, you will no longer see it in Gallery or MX Player. To view the file, you have to decrypt it from ES Explorer by entering the password. In case if you have forgotten the password, you can still recover the file by changing its format to original. For example, if you want to decrypt a text file, then rename it to "recover.txt". As only you know the right format of the file, so no other person can view it and thus your content is 100% safe. First select the file, tap "More" option and then click "Compress" from the menu list. Now select the format as zip and make sure that compress level is set to Standard. Next, type the password and click OK button. To decrypt it again, you just have to extract the zip file. 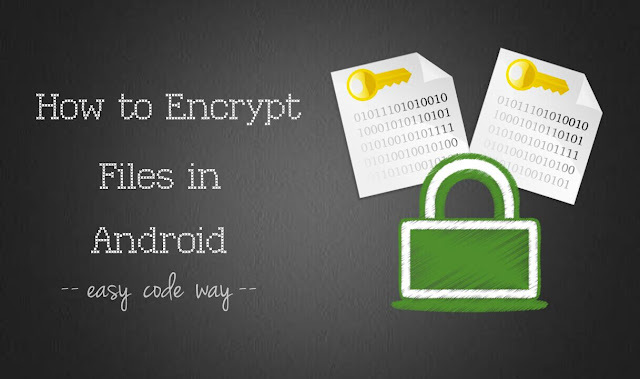 So this is how you can encrypt files in your Android phone and make them password protected. If you would like to add something in this tutorial, please do share it in the below comment box.